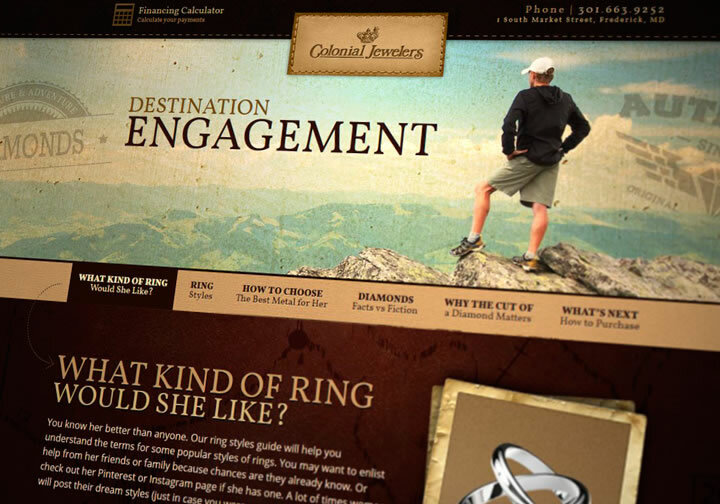 Destination Engagement - Wood Street, Inc.
Colonial Jewelers wanted a way to speak directly to the one ready to propose. 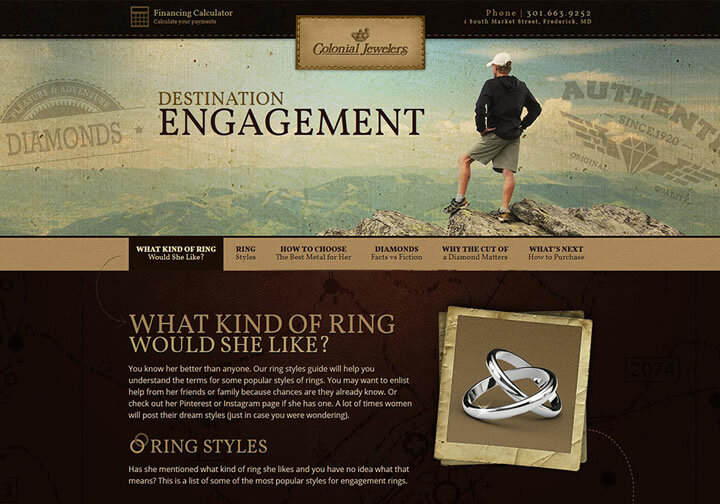 The one page site was designed and developed to take the mystery out of planning a proposal. 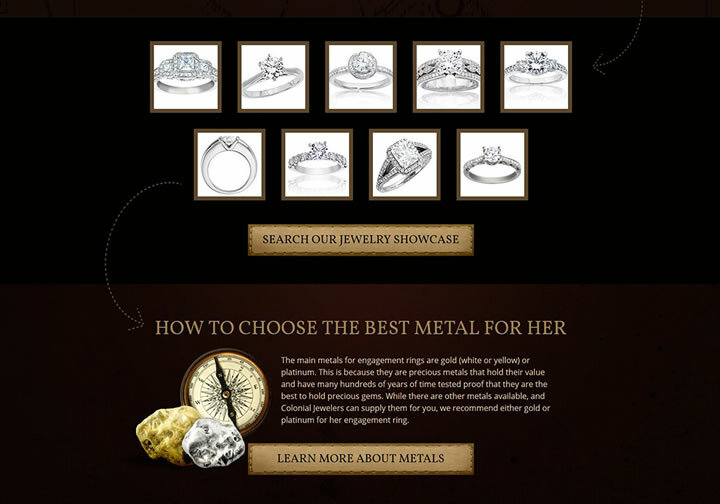 The message was simple and did not necessitate an involved website. 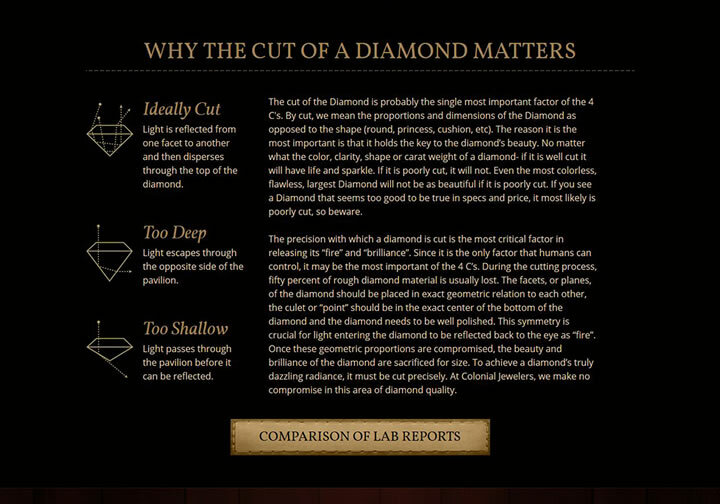 By designing a long scrolling homepage, Wood Street was able to visually guide the user through the message. 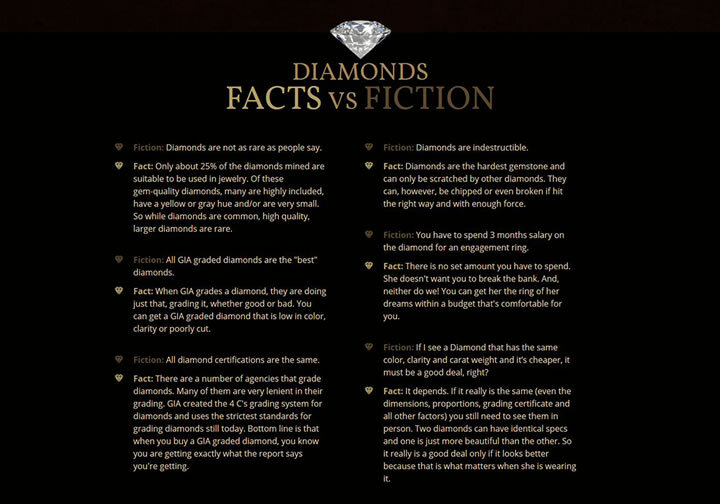 A simple scroll through will get the user all the information they need and link them to more if they need it.